The trick to coordinating with any other discipline in Revit, is to get them to maintain a view for you. Or at least have that view setup in their file, so you can go and clean it up as needed. This is often what happens with architecture, not because they are necessarily worse at maintaining their view, but because it takes more effort to filter the multiple categories that consist of the building shell (with MEP, if I have them turned on at all, it is only to see a few pieces of equipment or connections). In our Architectural template, there is a view that they use to export down to dwg (if needed) and it is also the view that we look at in all of our plan views. 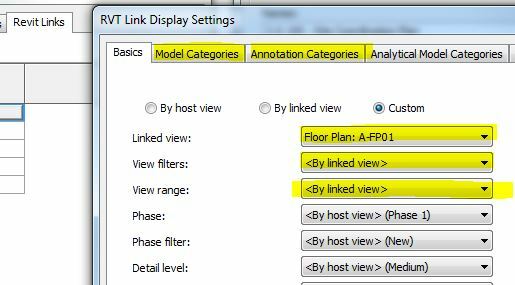 Shown below are the typical Revit Link settings: view filters, view range, and model categories are all by linked view. Annotation categories is custom and all turned off (just to be safe, though technically there shouldn’t be any annotations). 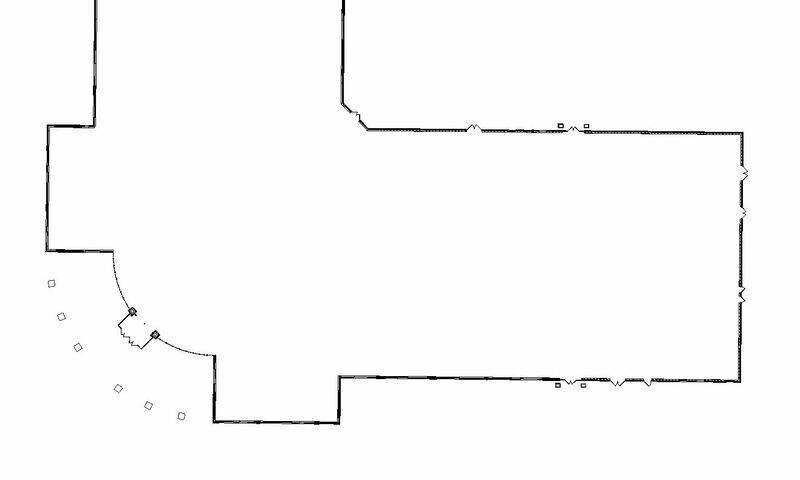 That region shows up as a hatch in your dwg export, which will annoy anyone using it in AutoCAD. While filters and correct family data require some monitoring and maintenance, a region will require just as much maintenance when walls shift (as they often do). Function is the one parameter that is half-built into Revit to filter out building interiors. It works pretty well, though managing function correctly on doors is the one thing that we still haven’t perfected. Unfortunately the function parameter only exists in Doors, Floors, Stairs, Ramps, and Walls. So it does not work on Windows, Railings, or any Generic Model. 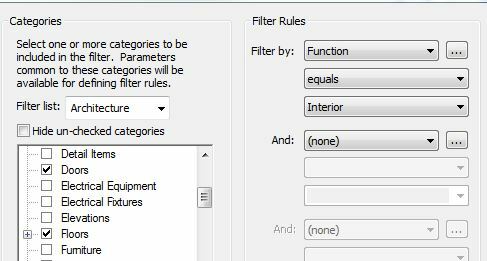 For the rest of that stuff, you could use a combination of other filters, but I find that managing multiple filters tends to be too unreliable and can start to work against you. So we use the Function filter and hide* the rest. *Though I feel that I should qualify that ‘Hide in View’ is not “best practice” and should not become a habit while working in most other views. And honestly, you really only need to have your architects double check and cleanup the floor plan occasionally. Finally, once you have this view set up in your arch template, you can have this view and settings pre-linked into all your view templates. ← Land8 BIM Blog Post! Really useful post! We are trying to establish a workflow in Revit at my office, and this is a nice piece in the puzzle. However the architect in a project we’re working on in Revit is using Archicad, resulting in rvt files converted from ifc linked into our file. The converted file doesn’t really seem to work with the interior filter. Hopefully this can be solved through classification on the Archicad side.